(HealthDay)—Monthly high-dose vitamin D supplementation may not prevent the risk of cancer among adults aged 50 to 84 years, according to a study published online July 19 in JAMA Oncology. Robert Scragg, M.B.B.S., Ph.D., from the University of Auckland in New Zealand, and colleagues conducted a post-hoc analysis of data from the Vitamin D Assessment study, which recruited participants from family practices and community groups. A total of 5,110 participants aged 50 to 84 years were randomized to receive vitamin D3 (2,558 adults; initial bolus dose of 200,000 IU followed by monthly doses of 100,000 IU) or placebo (2,552 adults) for a median of 3.3 years; 5,108 were included in the primary analysis. 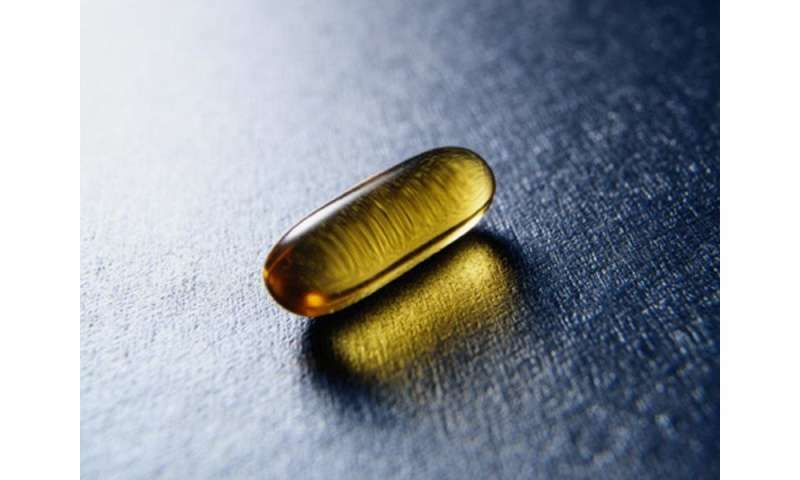 The researchers found that the mean follow-up 25-hydroxyvitamin D concentration was consistently more than 20 ng/mL higher in the vitamin D versus the placebo group in a random sample of 438 participants. The primary outcome of cancer (328 total cases of cancer) occurred in 6.5 and 6.4 percent of participants in the vitamin D and placebo groups, respectively, for an adjusted hazard ratio of 1.01 (95 percent confidence interval, 0.81 to 1.25; P = 0.95). "High-dose vitamin D supplementation prescribed monthly for up to four years without calcium may not prevent cancer," the authors write. "This study suggests that daily or weekly dosing for a longer period may require further study."